Howard Bender and Craig Mish share the results for their Week 10 NFL picks for the Westgate Las Vegas SuperContest. 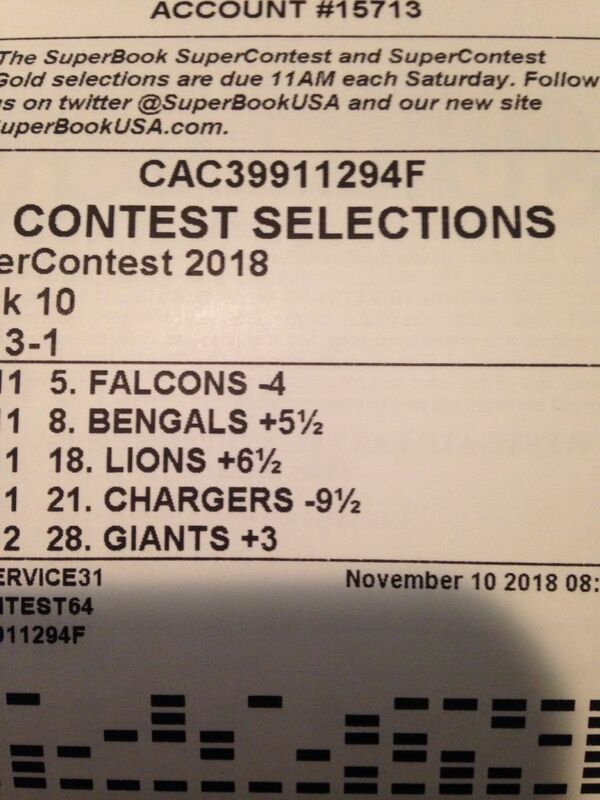 The Westgate Las Vegas SuperContest is considered the premier NFL football handicapping challenge. 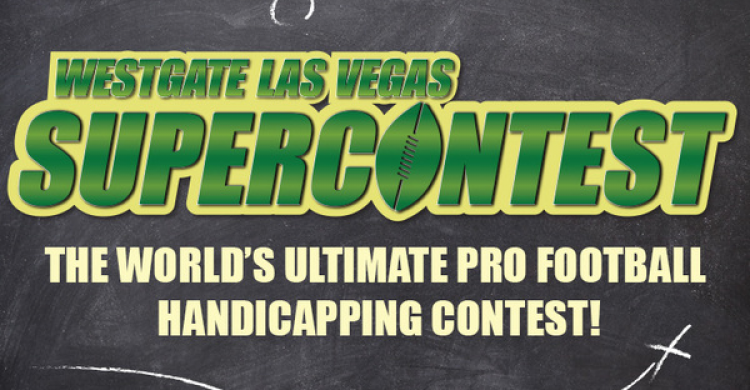 Each week contestants select five NFL games and pick their winners using the spreads provided by Westgate Resorts. The lines are set every Wednesday and remain as such for the week for this particular contest. The contestant who correctly earns the most points for the entire NFL season is decalred the champion and will collect at least one million dollars with additional payouts to the Top 100 overall. Craig Mish and Howard Bender of Wager Alarm have entered the contest and are sharing their picks during the Wager Alarm Livestream every Friday night at 9pm ET. Here's a look at the Wager Alarm ticket from Week 10 where Craig and Howard went 2-3. We dropped about 100 spots but maintained a 54.2% success rate. Here is a snapshot of our current place in the overall standings with our winning percentage on the year -- tied at 1109 out of 3,103.